We are pleased to announce today’s release of ESET Smart Security 9 and ESET NOD32 Antivirus 9, new versions of our award-winning security solution for home users. The development of the latest version literally brought the whole company together. 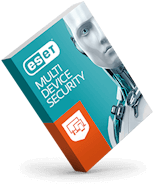 There are several significant improvements under the hood, which have involved ESET teams across the whole world in an effort to deliver the signature low system footprint and the highest level of protection. In order to do so, we re-engineered the way ESET Smart Security 9 and ESET NOD32 Antivirus 9 update to ensure maximum protection. The process is now even more flexible and transparent, with automatic updating to the latest protection features as soon as they become available. Based on usability testing, we have also redesigned the graphical user interface to better fit the needs of our customers. Now it is much more simplified and supports Right to left languages such as Arabic and Hebrew. We are also introducing a completely new system of licensing which simplifies the purchase and activation process. The most prominent of all features is Banking & Payment Protection in ESET Smart Security 9, thanks to which the users can make online money transfers without exposure to any harmful activities. Banking & Payment Protection detects when users visit online banking websites. In the process it ensures that online financial transactions are processed in a secured environment. Reputation Evaluator leverages cloud-based file and URL reputation system ESET LiveGrid® when assessing the risk-level of files. This improves scanning efficiency and prevents users from accessing sites with malicious content and/or phishing sites. Botnet Protection Enhanced with Network Signatures allows for faster reaction when blocking malicious traffic related to bots and exploit packs coming to and from users’ PCs. Learn more about ESET Smart Security 9 and ESET NOD32 Antivirus 9 or watch our product video. Newer ESET Extends Protection to Children on Mobile Devices!